Character girl in winter clothes with shopping. 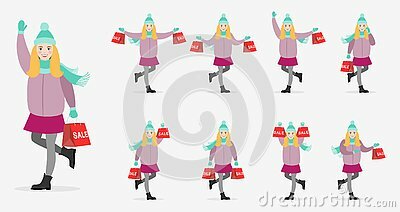 Girl in various poses with shopping in her hands. Flat illustrations for design. A multicultural and multiethnic diverse team.